Hi Manisha! Thank you for this recipe. I made it with about five pounds of lamb last weekend for a group of friends, and it went over great. I had to substitute a plain storebought garam masala for the masala mixes you specify, but that was OK.
After I cooked the onion and spices and all that, I threw it all into the crockpot for about 8 hours, which made it so tender. I do have a question, though. How do you really tell when the oil separates out from the spices? I don't know if I am waiting long enough for that to happen. Thanks again! I am American, but I have Tamil friends and am always looking for accessible yet authentic (and HOT) recipes to learn. Oh, my name is Faith. That didn't show up on my previous comment. Thanks again... Keep posting, please!! Hi Faith! I am glad you liked my lamb curry! I, too, made this in the crockpot the other day and the lamb was very tender. I loved it cos I didn't need to go stir as often as when I cook onthe gas stove! So I ate a lot less while it was cooking!! As for the oil separating out from the onion mixture, you should be able to see it. The onion-tomatoes-ginger-garlic mixture tends to thicken and the hot oil (now reddish in color) starts emerging from the sides of the paste. What was the consistency of the sauce (or curry, as we would call it)? That will tell you whether you need to sauté it more. The onions have usually lost most of their moisture and the mixture should also be rather thick. I like the taste of Shan masalas. You should be able to get them from any Indian/Pakistani grocery store. I usually buy them on sale (89 cents). Or you could try online at namaste.com or ethnicgrocer.com. Other trusted brands are: Badshah, MTR, Ashoka. You have Tamil friends? Have you tasted idli-sambar? For my family, that's comfort food and there was a time when Sunday brunch was idli-sambar. Thank you Manisha! That is very helpful. I don't think I've had idli-sambar - but I do love dosai, especially rava masala dosa. I've made uppathams for breakfast, too, which are so good. Hi, there, hope you are ok. I am really interested to try some of your recipes. I have a request though, if you don't mind, please could you post a picture of what oil looks like when it separates from the spices as i'm still not sure about this. I would be very grateful if you could do this. Thanks. Hi Anonymous, give me a couple of days to dig through my pictures to see if I have a picture. I may not have one though, in which case, I should be able to take one over the weekend cos I am planning to make chicken curry the same way I make this lamb curry. The only difference is that the chicken cooks much faster. I then let the dish sit for at least one night in the refrigerator so that the chicken gets all the wonderful flavors of the spices in the dish. If you want to contact me by email, my email address is polarmate[at]gmail.com. Replace [at] with @. Hey Anon, if I can cook, anyone can! I just posted a primer about onion-tomato based curries - so take a look and let me know if this helps! Thanks for a lovely recipe. I made this in a Potjie over an open fire while camping this weekend, delicious. You may not respond to this comment, as this is an older recipe, but I was wondering if you have any advice on what to serve with this. I'm actually using your curry recipe as a base for a lamb "cookoff" (not the recipe exactly, mostly the technique, if that's ok with you). While rice is my go-to side dish, I didn't know if you have any suggestions on the best match up. Plain rice? Rice with a few veggies thrown in? Etc. Thanks for any advice you can give me! I'm taking on 15 lbs of lamb, to turn into curry. Emily, 15lbs! Wow! I love this with rice - preferably basmati rice. Plain or jeera (cumin) rice. Sometimes, I add some green peas to jeera rice for some additional interest. You can't go wrong when you pair it with rice! It's aso easier than serving up hot naans. I'd love to know how your cookoff went! This was the link to here. I notice there is no star anise, mustard seeds etc. Is this an updated version or has it just omitted some ingredients? I was going to try it but not sure now as cannot decide what to include & leave out. Anyone able to help? Smiley, TheKitchn adapted my recipe to make their own. I wouldn't use mustard seeds and star anise is something that is usually included in the store-bought mixes, so I don't add that as a whole spice. Does that help you any? What is the weight of the tomato paste can that you use please? 6oz, 12oz or 18oz? Thanks!! I am so glad I found your website. I will be making this curry for a Christmas gathering in a week or so. 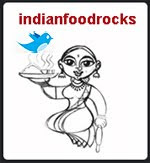 Indian Food is perhaps among my favorite cuisines, I'll let you know how it goes. I live in San Diego and already have an Indian Market that I go to find the ingredients. Just made this, thank you for the tremendous recipe!! It was delicious. I have no prior curry cooking experience and this recipe knocked it out of the park. I substituted peas, walnuts, carrots and asparagus for the lamb (vegetarian). So good! !